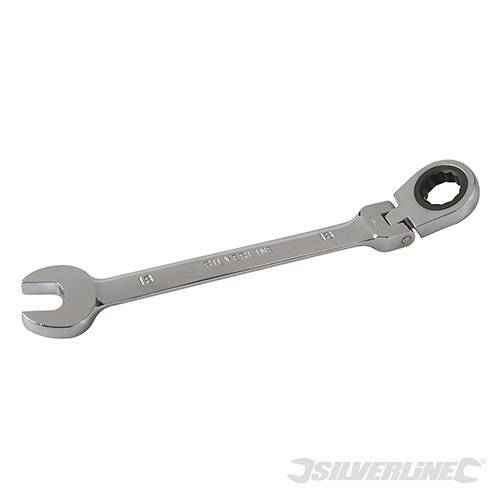 Hardened and tempered, chrome vanadium metric spanner with mirror-polished finish. Chrome plated for rust resistance. 5° ratchet action. 180° pivoting head. Provides access to nuts and bolts in tighter spaces.